With a bit of help from us. At Econsultancy, we've officially designated July as Data Month. That means you'll be seeing plenty of great resources, from in-depth research to fascinating blog posts covering everything you need to know about data, analytics and measurement. Copyright © 2015 E-consultancy.com Limited. All rights reserved. In a world where information is plentiful but often unhelpful, where customers’ expectations are evolving quickly and where new trends and opportunities take flight at break neck speed, how do you ensure you’re not lagging behind? Since 1999, Econsultancy has been distilling and demystifying digital marketing information, turning it into useful, independent insight with practical applications. Like our best practice guides, that show you exactly how to execute your digital marketing plans, or our trends reports that highlight the issues you must know about. Our customers come to us to build their knowledge and teams’ capabilities, validate their decisions, stay up to date and benchmark their activity. They know they can trust us to provide independent advice. Without mincing our words. Measure the s%!t out of your marketing. 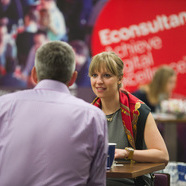 Want to find out about how you can access all of Econsultancy's great resources? Fill in the form and we'll be in touch. Available to Econsultancy subscribers only. The 9th annual report looks at how organisations are using data strategically and tactically to generate insights and to improve business performance. The research, based on a survey of almost 1,000 digital professionals, also focuses on the important role for data and analytics in supporting their attempts to build a competitive advantage by becoming more customer-centric. Hosted by Lynette Saunders, Senior Research Analyst at Econsultancy, this month's webinar looks at the latest trends, data and best practice within data and analytics. This insight comes from Econsultancy's own latest research along with collated third-party data and statistics. What is predictive analytics and how could you use it? Data is at the heart of every marketing success story; it's what brings the best marketing campaigns to life. Marketing Week’s Data Storytelling Awards will spotlight and celebrate the strategies, people and brands that are setting the standard in data across sixteen unique categories. Prove your excellence, enter your work before midnight, 2 August 2016.